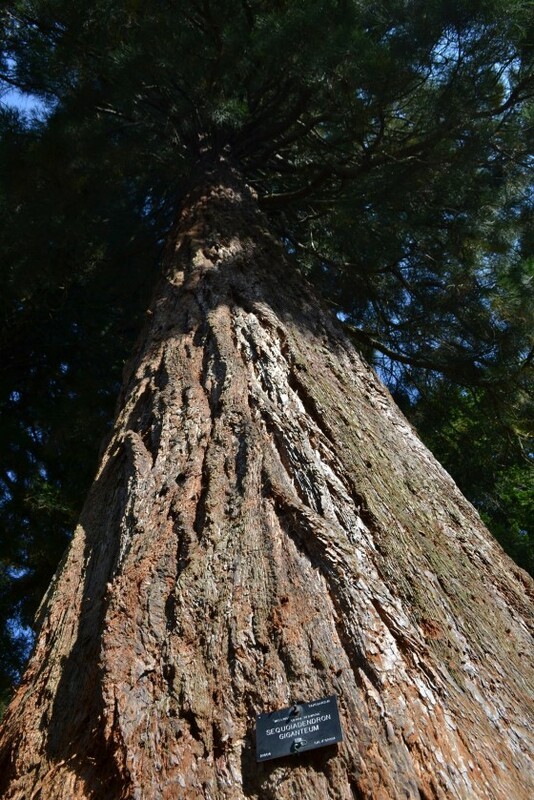 Sequoiadendron giganteum, known as the Giant Redwood, is the only species in a monotypic genus. It is one of three species collectively known as redwoods, along with the Coast Redwood, Sequoia sempervirens, and the Dawn Redwood, Metasequoia glyptostroboides. The biggest individual Giant Redwood is named ‘General Sherman’ and has a circumference near the ground of 31.1m; it is often referred to as ‘the largest living thing on earth’. It is neither the tallest tree nor the thickest at the base, but gets its title from its total trunk volume. 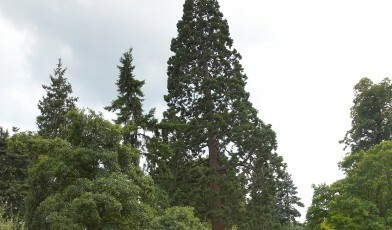 The giant redwood has a large conical crown with upright branches at the top of the tree and hanging branches lower down. The needles are small and more scale like and it has soft, fibrous reddish-brown bark. This species is nicknamed ‘the boxing tree’ because the bark is so soft it can be punched easily with a fist. Logging of this species took place until the 1920s but being fibrous and brittle the wood had limited uses. The Giant Redwood is now restricted to a limited area of the western Sierra Nevada, California. The species is having difficulty reproducing in its natural habitat because seeds only grow in full sun, mineral-rich soils and areas free from competing vegetation. Periodic wildfire is required to clear competing vegetation and to dry and opens their cones. These fires no longer occur naturally in many groves due to fire suppression efforts and livestock grazing. Almost all known groves of Sequoiadendron giganteum are in protected areas and different approaches have been used to tackle the lack of wildfire. Controlled burning and selective logging have been applied on different lands but more drastic measures seem to be needed. According to the Global Survey of Ex situ Conifer Collections, the Giant Redwood is reported as held in 181 ex situ collections worldwide.